How many times has someone been talking to you while we’re doing something else? The mind simply wanders off, then we hear those five dreaded words; Are you listening to me?” Let’s be honest, you weren’t really paying attention; we’ve all done it at one time or another. Usually it’s no big deal, the person repeats themselves…albeit not happily, and we move on. Well what if the information is critical to you or someone else’s safety. Would you pay closer attention? I often think about this during air travel as I look around the cabin of the plane. You see it all the time, the flight attendant is performing the pre-flight safety briefing and you notice several of your fellow passengers not paying attention. Many are on their phones doing their last-minute check of email, some are on their iPads pulling up their in-flight movies, a few are flipping through the in-flight magazines, and others are blissfully listening to music…it seems everyone is doing something other than listening to the flight attendant. The same flight attendant who’s explaining what to do in the event of an emergency. Why is that? Is it because the passengers in question believe an emergency can’t or won’t occur? Is it because they heard the safety message hundreds of times before and believe there’s nothing new to hear? Whatever the reason, something has their attention more than the flight attendant. Well my last flight was a little different. I was on Air Canada flying from Pittsburgh to Toronto, and Air Canada has a slightly different approach during their pre-flight safety briefing. Yes, there’s the obvious difference of the briefing being delivered in both English and French, but there’s more than that. They go an extra step to ensure you’re paying attention. One of the ways they do this is passengers are not permitted to use headphones at critical times. Air Canada refers to these times as “Critical Phases of Flight”. These phases include when the aircraft is taxiing, taking-off or landing, as well as, any time the crew is making an important safety announcement. By eliminating the use of headphones during these times Air Canada believes it serves two important safety functions. The basic rule is this; external headphones that are not connected to the in-cabin entertainment system are only allowed once the seatbelt sign has been turned off. Now at first this may seem silly, but it’s actually very smart. I know what you’re thinking, just because you’re not wearing headphones doesn’t mean you’re listening or paying attention; and this could be true. However, it does remove one of the obstacles proven to prevent a person from hearing, thus increasing the probability they receive the message being delivered. Now let’s go back to the beginning, what if the person engaging us in conversation would have told us to stop playing with our phone, or put down the magazine prior to the conversation. Chances are better that we would have heard them the first time and they wouldn’t have had to repeat themselves. The takeaway is this; safety is often about awareness. Awareness of our surroundings, awareness of rules, awareness of risk; the more aware we become the more likely we are to avoid injury. By eliminating the barriers between the individual and the safety message, we become more likely to hear the message and hopefully understand it. 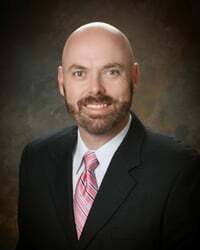 David P. Juristy is Vice President of Sales, and the executive leader of Select International’s safety practice. He has used his background in Industrial Operations and military training in Quality & Safety compliance to work with many of today’s top companies to implement safety solutions.